We have lost Howard Zinn. Luckily he spoke his mind and it was captured in video and in print. This is just one of many enlightening lectures he gave not that long ago – 2008. It seems as though we are seeking slower ways to enjoy ourselves. Most of this is illustrated in the rituals around food that have come to pass, a need to find slow food. Just when I thought that espresso style coffees had completely taken over the planet — I found the movement for pour over coffee. I know this better as Melitta style… or drip coffee. This is a Japanese video of the process. Patti Smith makes art in whatever way she can. I wanna sing like Patti Smith. I wanna be like Patti Smith, sorta. 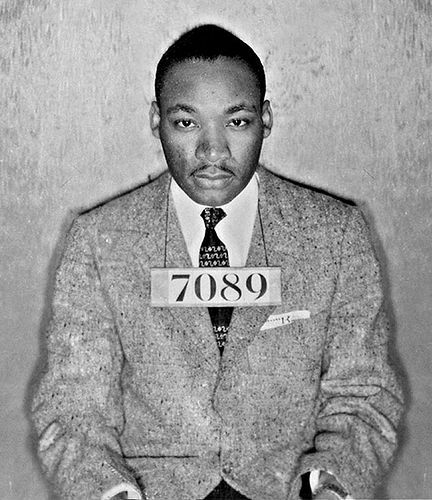 A Time to Break Silence : Martin Luther King, Jr. This speech by Martin Luther King, Jr. rings true today. Full speech click on this line. It lay thickly drifted on the crooked crosses and headstones, on the spears of the little gate, on the barren thorns. His soul swooned slowly as he heard the snow falling faintly through the universe and faintly falling, like the descent of their last end, upon all the living and the dead. Yes the phones were programmed with timed ringtones. Nice video. Nice installation. Was just over at the Philadelphia Museum of Art searching for their hours on Sunday. Was trying to get over to the Gorky Exhibition, spaced that Sunday was the last day. So why when I come to the welcome page can’t I find the hours in the footer or a box? I click Information. Not there. I click Visiting. Quick scan, Not there. I click sitemap. Not there. Not until I go back to visiting do I notice that under Main Building that there are hours another click away. Now when I click hours under Main Building (whatever that is) I get all the visitor information for all of the buildings. What the &%!. Gumby, Pokey, put on your black arm band. A sad day for Gumby and Pokey. 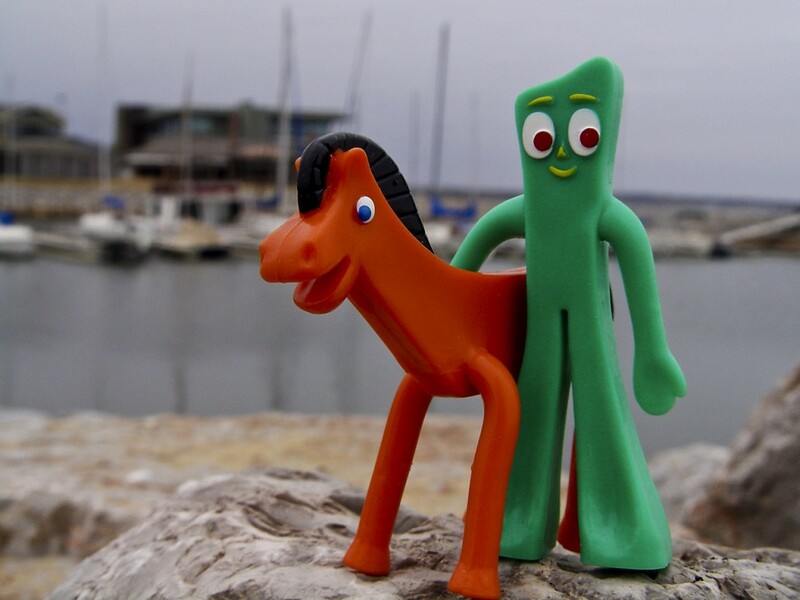 Art Clokey, the animator who created the lovable, bendable clay creation Gumby over a half-century ago, died. Many a saturday morning was spent cereal bowl in hand watching the green guy and his orange pony pal. It was Eddie Murphy’s SNL Gumby sketch 40 years after the birth of Gumby that finally created some financial reward to Art. The cultural icon is still popular today and has even moved into the new world of social media — Gumby has over 134,000 fans on Facebook. hulu.com currently has some Gumby available for viewing. if you have any – Move your money. A new movement. Think global. Act local. Small banks actually have an interest in your community. Return the favor.